Every year the East Coast Games appoints some long-time sports enthusiasts, coaches, organizers and athletes from the Saint John sports scene to be honorary chairs of our event. They help us do the fun stuff, like talk to the media, greet athletes, and give out awards. They’re special folks, and we’re honoured that they are willing and able to participate in the Games. The interesting and truly unique quality about Debbie’s tenure is that it’s rooted in a sense of service. Debbie is quick to point out that she has used her time in athletics to honor her past coaches. “It all comes from the love of the game and a way to pay it forward to all those coaches that were so good to me,” Debbie adds. Debbie’s leadership is noted both in and outside the confines of the athletics world. 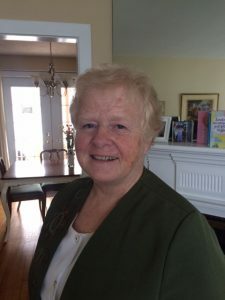 She’s been honored with the Gold Duke of Edinburgh Award, the Queen Elizabeth II Diamond Jubilee Award as well as being inducted into the Softball NB Sports Hall of Fame. 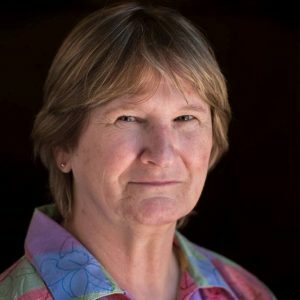 Debbie was also selected as a City of Saint John’s Community Torchbearer for the Vancouver Olympics torch run in 2009, named the City of Saint John’s “Sportsperson of the Year” in 1983 and was the Venue Manager for Softball for the 1985 Canada Summer Games. 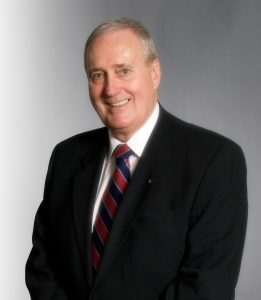 Anyone who meets John Doyle is instantly struck by his infectious optimism. A firm believer that everyone can make a difference, no matter the context, John’s enthusiasm has made him a fixture of the Saint John sports community. For decades, John’s dedication to athletics has been felt as player, coach and manager. His interest in the sport of basketball started at the YMCA and the Rotary Boys and Girls Club and culminated in his being a member of the Assumption Canadian Juvenile Championship Boys’ Basketball Team. He later was a great supporter and fan of his son Greg’s high school and university basketball teams. John and his late friend, Rip Seeley, were named “Honorary Saints” for their support of St. Malachy’s basketball program. John was also awarded the Honorary #1 Fan Award from UNBSJ’s Men’s & Women’s Basketball Teams in 2005. More recently John has become a familiar face at the Saint John Sea Dogs and Rip Tide games. Off the court, John has been a long serving member of the community. Having been a member of the Kiwanis Club of Saint John for more than 40 years, John’s commitment has led to his being awarded the Mel Osborne Award for Outstanding Contribution & the 2012-2013 Human & Spiritual Value Award from Kiwanis, along with Canada 125 Award, the Queen’s Golden Jubilee Medal and was named a Paul Harris Fellow of the Rotary Club. Outside of his community involvement, John has had a long career in funeral services and is currently the Vice-President of Brenan’s Funeral Homes. He is active in caring for the families of the Saint John area, having never seen this as a “job” but rather his life’s calling. 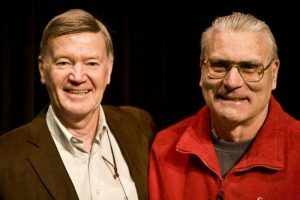 The “Two Frans” coa ched, trained and lead generations of Saint John area youth across a variety sports and were mentors to athletes and coaches alike throughout their careers at Saint John High School and St Malachy’s. Fran Hughes played football for UNB Fredericton for four years as a tight end and in his second year, was the second leading scorer in the league. Fran also played four years of university hockey and the team was two-time winner of the Maritime Championships. Hughes, fondly known as “The Bear,” went on to teach at St. Peter’s school and was assistant coach at St. Malachy’s with Fran McHugh (Head Coach), founder of that school’s football program. He moved to Saint John High where he introduce football into the school’s athletic department. He joined the staff of SJHS in 1970, went on to become athletic Director and retired a Greyhound, after 33 years of teaching, in 1999. During his time, he coached numerous sports along with football, including track & field and basketball. Fran McHugh attended UNB as well, wining the 1961 Ken Corbett Gold Medal as the finest all-round athlete. He is one of the rare individuals who has competed, coached and officiated at the Canada Games. His officiating skills are world-class having refereed basketball and umpired baseball on both national and international levels. He is a National Master Course Conductor, skilled at training other officials. He has been an umpire himself, since 1967, and has called strikes and balls at age-class nationals, Canada Games and Intercontinental Tournament. McHugh is also a member of both the N.B. Sports Hall of Fame and the Saint John Sports Hall of Fame. 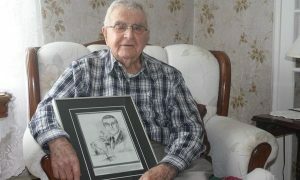 Art Pottle is a member of the Saint John Sports Hall of Fame and the New Brunswick Sports Hall of Fame. He fought in the Second World War as a member of the elite Canadian-American First Special Service. He is a role model not only for being a war veteran but for coming back from that horrifying experience to be a great sport contributor to the community. Art comes from an era before sports specialization; he played, officiated and coached many sports including badminton, rugby, basketball and soccer. 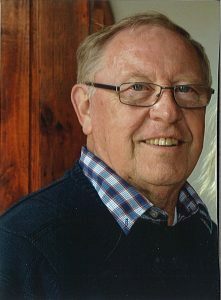 He taught physical education at Simonds High School from 1950 – 1966, before becoming a guidance counsellor. One of his favourite memories is of the year that his soccer, basketball and track and field teams won the provincial championship in each sport. He is described by his former athletes as stolid, committed and selfless; the perfect candidate for chairman.